With Prime Minister Manmohan Singh stepping in after questions were raised on the preparation for the Commonwealth Games, government on Sunday said the focus now was on the delivery of the mega event. 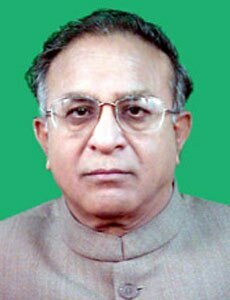 "Primarily the focus is on delivery of the Games and preparation of the various items required for the opening ceremony," Urban Development Minister and Chairman of the Group of Ministers for the Games S Jaipal Reddy told reporters. The GoM is slated to meet later in the day to finalise the programmes pertaining to the opening ceremony and some other details. "Today we will discuss the details of the opening ceremony. We will see other things also," Reddy said. Apart from Reddy, Sports Minister M S Gill, Delhi Chief Minister Sheila Dikshit and Organising Committee chairman Suresh Kalmadi are among those who will be present at the meeting. Yesterday, the Prime Minister gave overriding powers to a committee headed by Cabinet Secretary, bringing into its ambit the Organising Committee that has been tainted by corruption charges. The GoM was also empowered to take all necessary decicions for the smooth conduct of the October event and refer any matter that may require further consideration to Finance Minister Pranab Mukherjee for a final decision. It has been directed by Singh to meet immediately and frequently.